Whiteboards are fantastic for completing pedigrees too. Students are far more prepared to make mistakes on a whiteboard than in their books. In the future I would like to use them for concepts such as protein synthesis and photosynthesis reactions. Thanks for the idea on pedigrees. 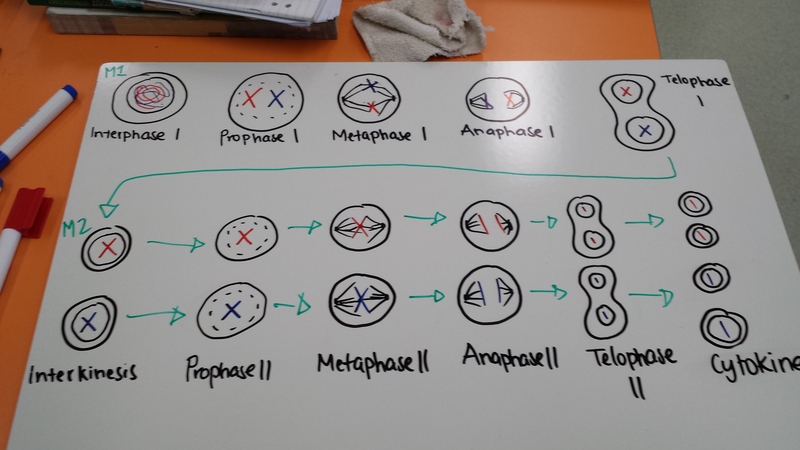 Thinking about this further, a possibility to extend this might be to set up as a rotation with different pedigrees drawn on with permanent marker. Pairs move to each station (different pedigree) trying to solve. The book, “Scientific Argumentation in Biology,” published by NSTA, has some great ideas that work perfectly with whiteboarding. Just yesterday my class worked through one question regarding speciation and used whiteboarding to share their claims. Thanks for the tip. Looks like a book worth checking out. It looks like it not only has a good process to follow in looking at scientific concepts, but also has some good ideas for inquiry questions. I like the link between this sort of thinking and whiteboarding is great. 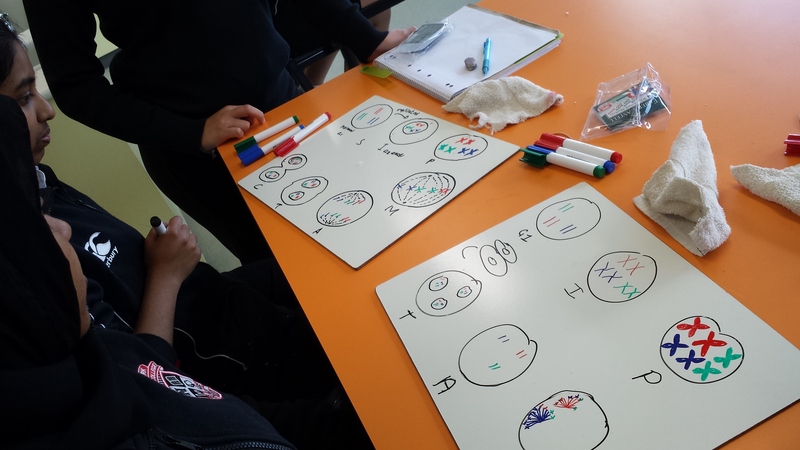 I think that it is great that you are using the whiteboards to go beyond simple problem solving and are using them for thinking I your classroom. I also think you have picked up on the right side if what the flipped class is all about. It is all about what you are doing in class and not what you send home with the video. Did you remove the permanent marker from the Punnett square boards? By the way, I love your suggestions! I teach life science (middle school version of bio) but so many similar concepts and skills! Can’t wait to give this a try! You can also use cotton socks to clean the boards. Yes, I usually use the smaller boards for Punnett Squares and remove for other activities. I generally use the bigger boards for diagrams and flow charts. 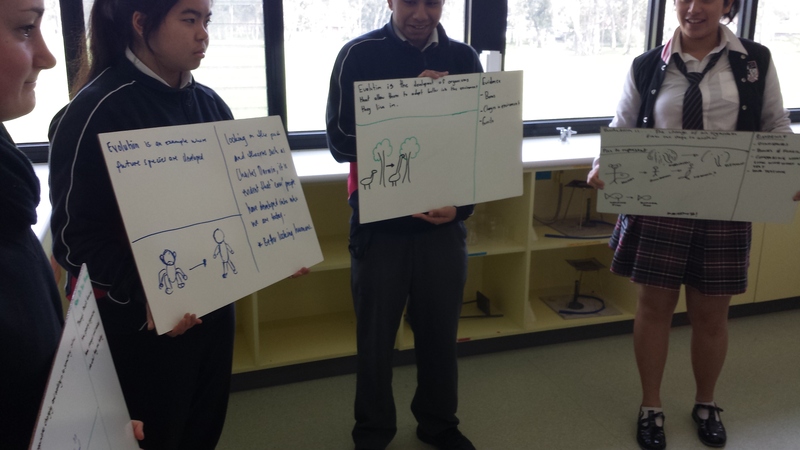 I usually I draw up the boards initially for the students with a permanent marker. Over a few lessons some lines fade as the whiteboard markers draw over the permanent lines – in these cases I give the students a permanent texta and a ruler and ask them to maintain. 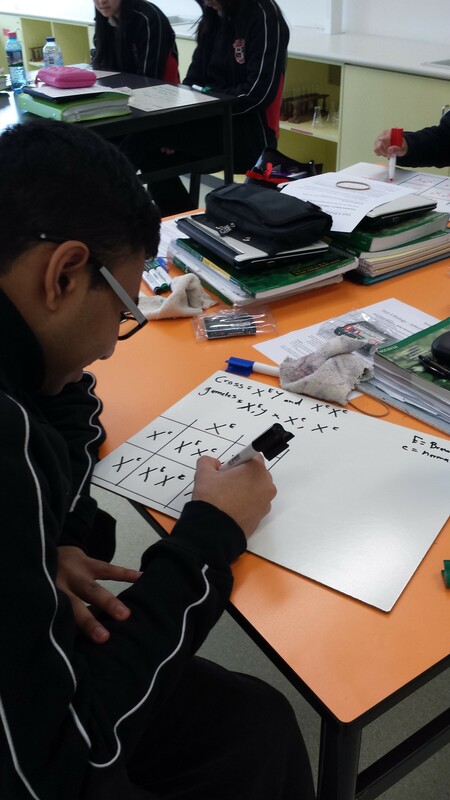 When students start dihybrid crosses I just add a couple of extra lines to the monhybrid squares. Every now and then I get something alcohol based to give the boards a good clean or to remove old Punnett Squares for other activities. Good Luck – I would love to hear some of the ideas that have worked for you.